Karan Valves Pvt. 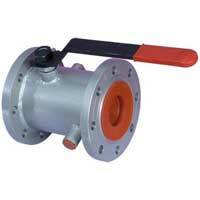 Ltd. is a name that is trusted for Manufacturing and Exporting quality Industrial Valves since for over two decades. Through constant efforts and commitment we have created a niche for ourselves in the market. Serving our clients the best has always been our motto. Karan Valves Pvt. 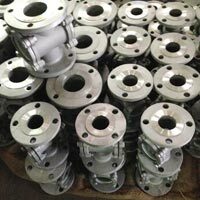 Ltd. has established itself as a trusted name among the Manufacturers and Exporters of different types of Industrial Valves, Sight Flow Indicator and Y Type Strainer. Our experience of more than two decades in the industry has given us tremendous expertise and earned us a lot of credibility and goodwill. We have been delivering quality products which stand out in the competition since many years. Serving our clients well has always been our motto. We have been catering to several industries like Oil & Gas, Marine, Petrochemical, Textiles, Chemicals, Pharmaceuticals, Engineering, Power and General Industry in India. Our state of art infrastructure and advanced, sophisticated machinery helps us in meeting all the orders in time. Our units are ISO 9001:2008 Certified. Karan Valves Pvt. Ltd. follows a well documented and implemented Quality Plan under which we also provide Third Party inspection from Lloyds, TUV, EIL, PDIL, SGS, H & G and Tata Projects etc. Our in-house testing facilities in the manufacturing facilities help us in quality control and also in bringing in new innovations in our products. We strive to scale new heights each day along with ensuring maximum client satisfaction.